Welcome To My Beauty Page! 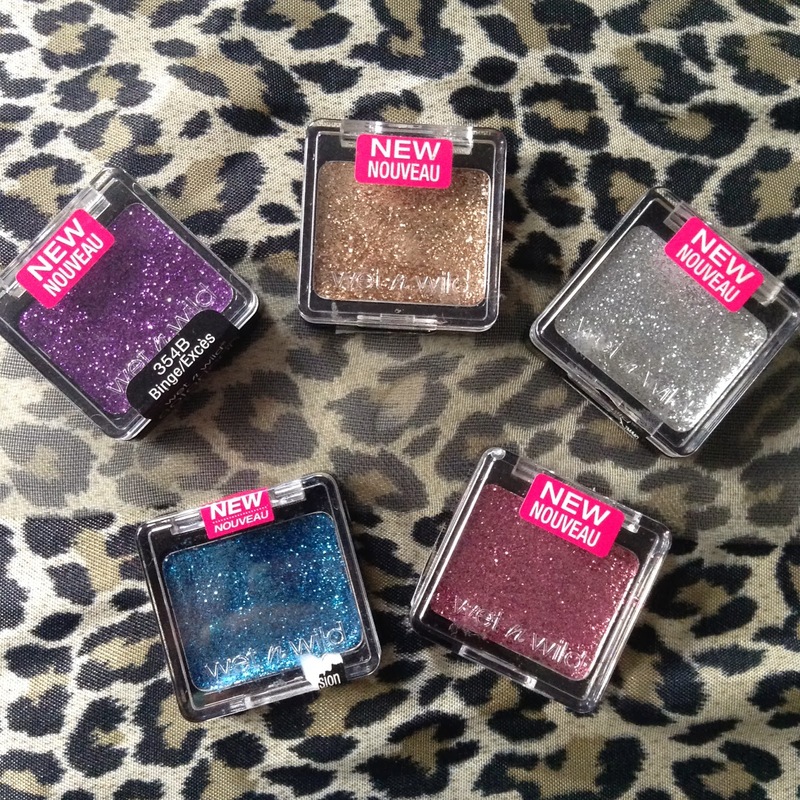 Wet n Wild is an affordable makeup line that you can find at any drug store such as CVS, Walgreens, Rite Aid, etc. I started wearing Wet n Wild a year ago and let me tell you! I absolutely love Wet n Wild! Its probably the only drug store brand i like the most. The eyeshadows are super pigmented with a smooth texture. The lipsticks are just as great with long lasting colors and well pigmented. OMG!!! These single color icon glitter singles are absolutely beautiful! I came across these a few days ago at Walgreens and i thought these looked so pretty! I did not buy any at first because i had a bad experience buying a Hard Candy greasy oily glitter pod i boughten in the past from Walmart. I ended up going back to the store and i bought them only because it was Wet n Wild and i knew their product should be good, at least the rest of their line is.. I bought a few and i love them! They are not greasy at all, which is great. You can apply these on the eyes or the body. I use these on top of eyeshadows just to jazz up my makeup look. These glitter color icons are full of glitter and the glitter stays put, which is amazing! I find these glitters to be so easier to use then the loose glitters for the eyes, lips or face. These are the colors i bought. I really wanted the white and red glitter to complete my collection since i love them so much, but they are always sold out and are hard to find :( The packaging is great! very hard to open do to all the product labeling but its a good thing because no one wants a used swatched nasty opened one. Here is some watches of the Pink "Groupie", Gold "Brass", Blue "Distortion", Red "Vices". Purple "Binged", Silver "Spiked", Clear "Bleached"
Its that time of the year!! After Christmas Sales!! I love after Christmas sales, everything goes from 50%-75% off on most stores. I usually stock up things i can use through out the year, such as cosmetics, ornaments for next Xmas, goodies, candles etc. My favorite place to go for amazing sales is Walgreen's, CVS, Pier 1 & Target. Walgreen's has an amazing sale on cosmetics (which i love!) you can find gift sets real cheap! I personally love Pier 1 Imports after Christmas sale, i love getting my candles and home decor there for amazing prices. Target always has that section in the back of the store where they place their seasonal items. Its fun for me to go there the day after a holiday and find great deals!! Are you a bargain shopper? What are your favorite stores to shop for great deals and sales? 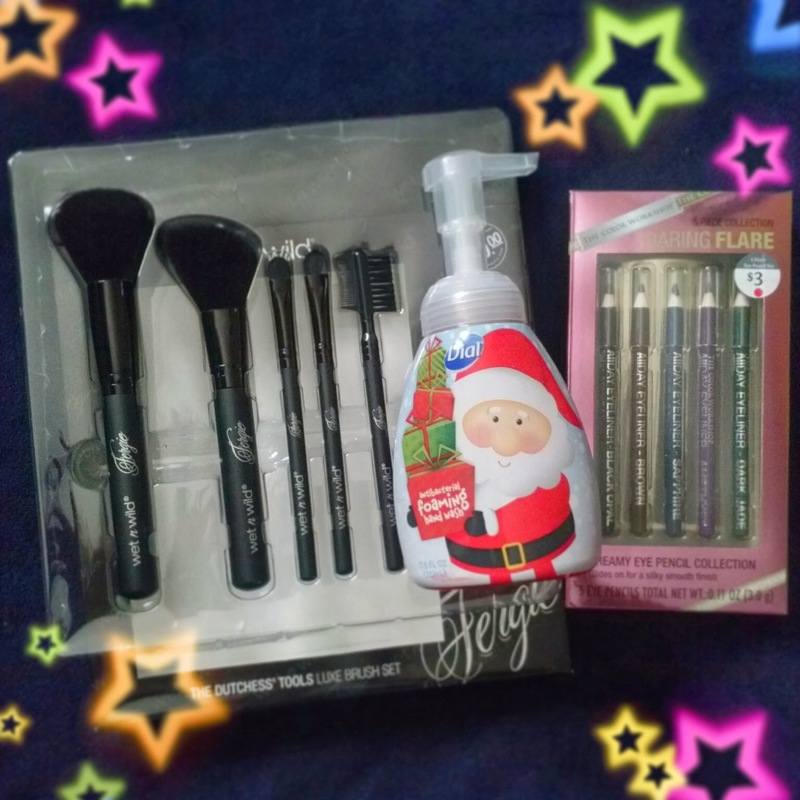 Here, I purchased these Fergie Brushes from Wet n Wild for only $5 (they are great quality) Dial Anti-Bacterial Soaps for only $1.25 (great for cosmetic brush disinfecting and cleaning) And Box of 5 eye pencils for only $1.50 all from Walgreen's.